Have you been looking for a home in the Valley that is both affordable and fabulous? Look no further! This value-priced townhome has it all! This spacious & exceptional unit boasts NEW paint and carpet, an open living room with a cozy fireplace & wet bar, tons of extra storage space, and convenient in-unit side by side washer/dryer space located on the upper level behind double closet doors. The kitchen features ample cabinet space, appliances and a serving window to the dining area. 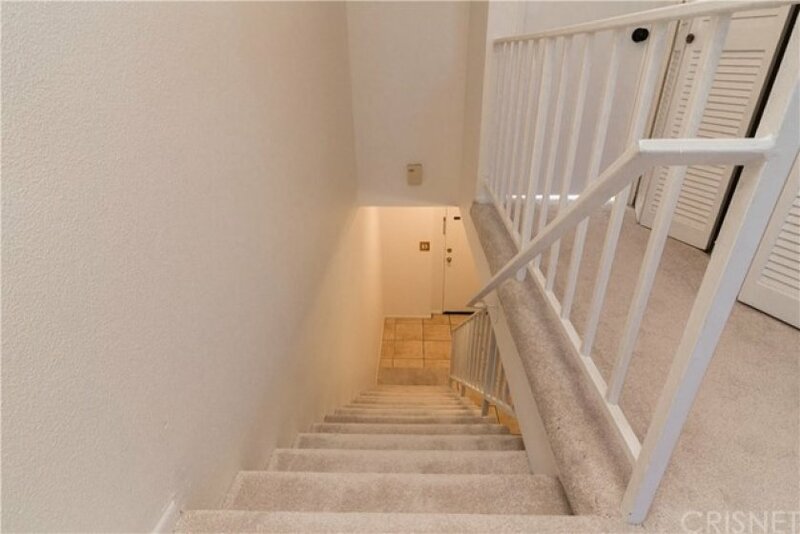 A gorgeous railed staircase leads you to the upper level with 2 bedrooms; each featuring their own attached full baths and a large balcony off the master suite. As an added BONUS, this unit offers 2 assigned parking spaces in a gated underground parking. This development offers an elevator, recreation room, and an inviting outdoor space with beautiful community pool. Call to sell it today!